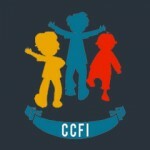 CCFI – Children of Chernobyl Foundation Ireland is a charity that was founded by a group of volunteers who gave up their time freely to help the children of Belarus. Their search for a web designer in Google led them to me and I was only too happy to help such a worthwhile cause with charity web design. Children of Chernobyl Foundation Ireland (CCFI) is a totally registered charity relying purely on donations and fundraisers organised by volunteers. Volunteers travel to Belarus twice yearly working side by side to help with building and renovation projects in schools and orphanages, and all the work is carried out to the highest standard possible. Visit the CCFI website or view more projects.